It's often said that you'll be happy if you find a way to do something you love. Mike Yager took that saying to heart. In 1970, at the age of 20, Yager went out and bought his first Corvette, a 1967 convertible. Four years later, Yager borrowed $500 to start up a small business selling parts manuals and accessories from the back of a car. 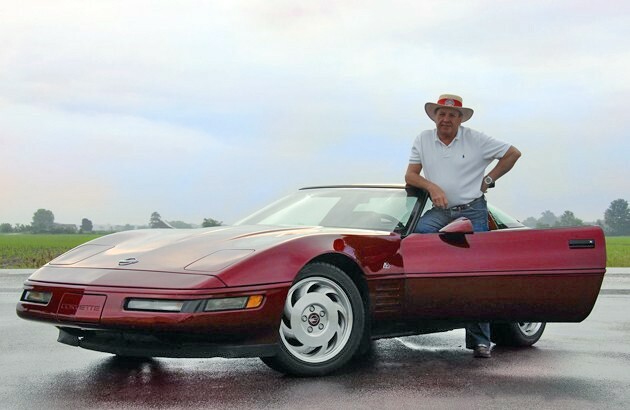 That business, along with Yager's reputation, grew strong in the Corvette community. In 1976, Mike Yager made a life-changing move to turn this into his full-time job, and Mid America Motorworks was born. Thirty-seven years after he borrowed those Benjamins, Yager has turned Mid America Motorworks into a company that ships over four million catalogs per year. And his collection of Corvettes has grown exponentially since he bought that '67 drop-top. Some standouts include CERV-1, XP-819 and a 1968 Le Mans Corvette that's painted Ferrari red and wears the prancing stallion on its front fenders. It's not just Corvettes, however, as Yager also has a soft spot for old Volkswagens. He celebrates both makes at his annual Funfest events, one for VWs and one for the Corvette. The Funfest weekend has grown since the very first one took place back in 1994. In 2010, Mid America's 180+ acre Effingham, Illinois facility played host to over 17,000 cars and more than 45,000 people. The man's knowledge of Corvettes is also freakishly extensive. 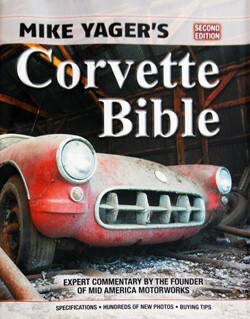 Yager has applied it into a book called the Corvette Bible. In it, Yager delves into the details of every Corvette model produced since the first 300 rolled off an assembly line for the 1953 model year. This isn't just a book for 'Vette collectors, however, because it's filled with amazing photography and a wealth of knowledge that makes an informative read for even casual Corvette fans. Now in it's second edition, the Corvette Bible covers cars right up to 2011. The first edition was good enough to earn a spot on the New York Times bestseller's list, so we think the second edition deserves a spot on your coffee table. That's why we secured a signed copy to give away to one lucky reader. Leave a comment on this post to enter (only one comment or else you're disqualified), and we'll choose one lucky recipient for the win.